Another day, another injury. It seems that’s been the common theme as of late, with Michael Bourn, Yu Darvish, Aroldis Chapman and Jurickson Profar being the most recent players to fall victim to what’s become somewhat of an injury epidemic around Major League Baseball. While every year brings injuries throughout both the offseason and the regular season, this year seems to be above average in that department, and the season hasn’t even begun yet. 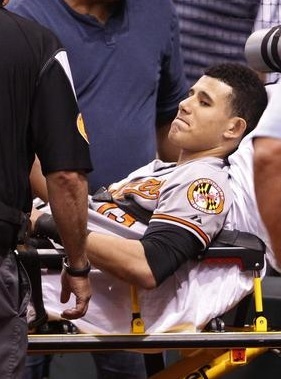 Including names such as Patrick Corbin, Manny Machado, Matt Kemp, and Jarrod Parker, among many others, the list of players set to miss Opening Day — the entire season for some players — due to injury continues to grow larger. Although some players aren’t that big of a loss overall, some will have a drastic impact on their team’s success. 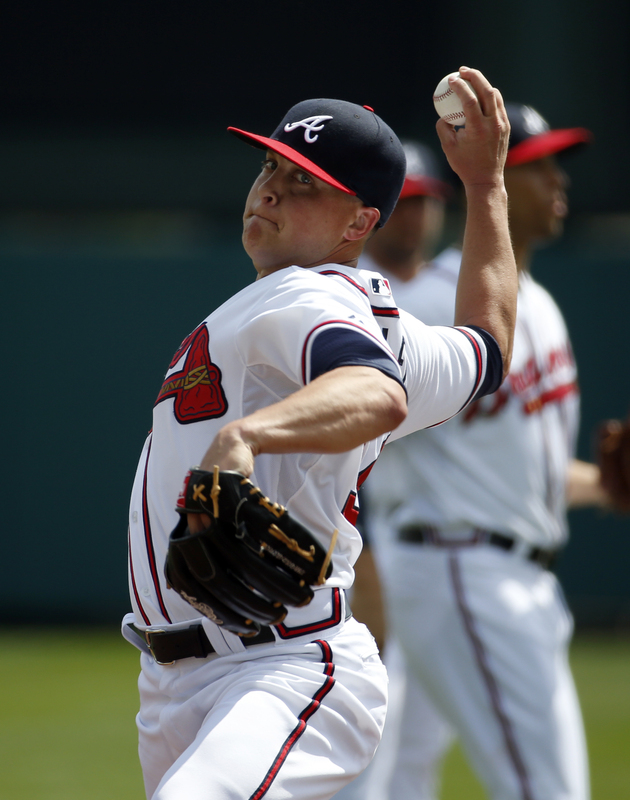 None more so than the loss of Brandon Beachy and Kris Medlen for the Braves. Both are set to miss the entire season due to the second Tommy John surgeries of their careers, and losing these key pieces to the Braves’ starting rotation will likely have a profound impact on how they perform as a whole. I had the Braves winning the National League East division in 2014, as they did last season, however, the subtraction of these players from the roster could cause them to fall down in the rankings a bit. But the Braves aren’t the only team that could fall down a bit due to an injured player. Patrick Corbin being out for what could be the entire season will have an effect on the Diamondback’s performance this season. Corbin really broke out last year, and was set to lead their starting rotation throughout the coming season. But without him, while the D-backs should still be a good team, they won’t be able to give the Dodgers a run for the division title like they previously would’ve possibly been able to do. However, the team that will likely see the second biggest drop, behind the Braves, from their predicted finish will be the Athletics, who will be without A.J. Griffin for a good bit of time, but more importantly won’t have Jarrod Parker for the entire season. He, like many pitchers I’ve discussed, is undergoing Tommy John surgery that will keep him out until 2015. With Parker out, the A’s will have a difficult time overtaking the Rangers in the American League West division as they’ve done the past two seasons. Not all of these injuries have occurred recently, though. A few players that won’t be ready for Opening Day had their injuries happen much earlier than this offseason or Spring Training. Manny Machado, Jose Iglesias, Matt Kemp, and Matt Harvey are all missing a good deal of time due to nagging injuries from 2013, with Matt Harvey (and possibly Jose Iglesias as well) out for the full length of the season. When healthy, all have extreme impacts on their respective teams, so, obviously, not having them being their productive selves is a big loss. But despite all of the injuries that seem to grow in number everyday, these are the types of things teams just have to play through. You have to compete with what you have. And therefore, it’s sure to be an interesting and exciting 2014 season, with there now being just six days until Opening Day. The Cy Young award, named after the Hall of Fame pitcher who died in 1955, was first handed out in 1956 with the goal of recognizing the “most valuable pitcher” from each season. The first eleven years of the award saw one pitcher per year receiving the honor, but in 1967 the Cy Young began being handed out to a pitcher from each league who was voted on as the best from the season. Fifteen players who have won the Cy Young award have gone on to the Hall of Fame up until this point — several of those players are still active, however. The current record for most Cy Young awards is held by Roger Clemens, with seven, but seventeen total players have won multiple Cy Young’s in their career. Two writers from each city of both the American League and National League make up the Baseball Writers’ Association of America (BBWAA) voters for the Cy Young award, making a total of thirty voters for each league (fifteen teams, with two voters per city). A first place vote earns a player seven points, a second place vote gets four points, a third place vote receives three points, a fourth place vote is worth two points, with a fifth place vote earning a single point. Once added up, the player with the highest overall total wins. Max Scherzer winning the Cy Young award seemed to be an easy choice, as he was the only pitcher with twenty or more wins this past season, however, both Yu Darvish and Hisashi Iwakuma had great cases, with many people siding with one of them. But in the end, the writers’ voted for Scherzer, giving him 28 of the 30 first-place votes, and a total of 203 points. Although Yu Darvish, who received 93 points, was better than Scherzer in both ERA and strikeouts — leading the league in games with ten or more strikeouts, with twelve — it was hard to overlook a win-loss record of 21-3 for Scherzer, which is what I feel ultimately gave him the edge over his competition. 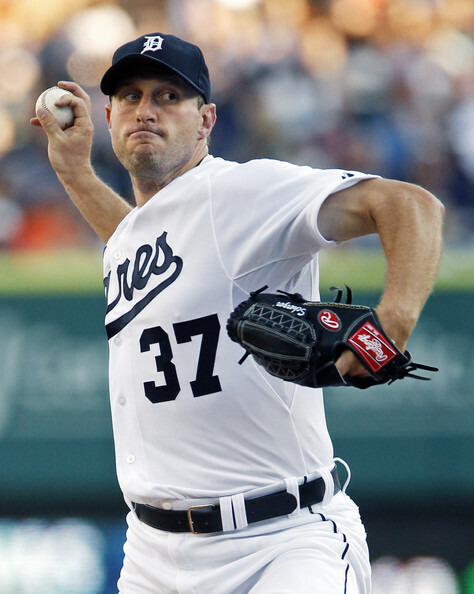 Along with his impressive record, Scherzer posted a 2.90 ERA with 240 strikeouts, and in addition had a win streak of thirteen games to start the season. Many people make the argument that wins aren’t a very good indicator of a pitcher’s performance, being determined by a teams run support — a case make for Iwakuma, who earned 73 of the voters’ points — and while I agree, I don’t think it was close enough to completely throw Scherzer’s record out the door. Max Scherzer had a great season and was the most deserving of the Cy Young award. The BBWAA’s vote had Yu Darvish finishing second, with Hisashi Iwakuma coming in third. There was really no contest in the running for National League Cy Young. 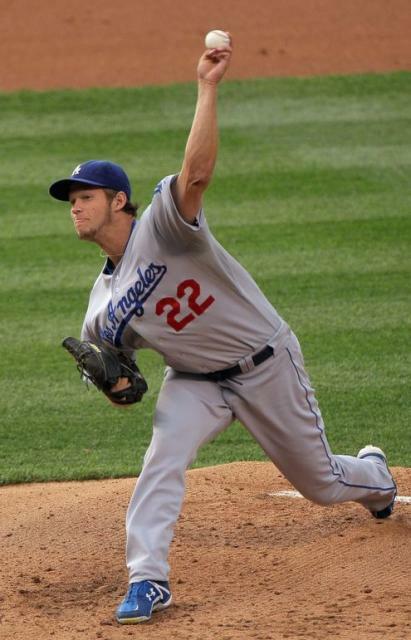 Clayton Kershaw, who won the award in 2011 and finished second in 2012, had an amazing year, and with the stats he was able to post, you had to figure he was going to be the winner. The voters agreed, as it wasn’t even close. Kershaw received all but one of the first-place votes, earning him 207 total points, beating out Adam Wainwright’s 86 points, and Jose Fernandez’s 62 — Fernandez picked up the Rookie of the Year award on Monday. The only pitcher recognized on every voters’ ballot, Kershaw had a historical year, going 16-9 with an astounding 1.83 ERA; the lowest ERA since Pedro Martinez in 2000, and the lowest National League ERA for a left-hander since Sandy Koufax in 1966. With a batting average against of .195, Kershaw put up great numbers in every aspect possible. Kershaw becomes the 17th pitcher in history to win multiple Cy Young awards in their career, and the third pitcher to lead the league in ERA for three consecutive seasons. At just 25 years old, odds are this won’t be the last Cy Young award for Clayton Kershaw. The BBWAA’s vote had Adam Wainwright finishing second, with Jose Fernandez coming in third. The Baseball Writers’ Association of America (BBWAA) award finalists for 2013 Rookie of the Year, Cy Young and Most Valuable Player were announced Tuesday night on MLB Network. For the most part, I agree with the finalists; but there are a few I’m surprised about. I have Wil Myers and Jose Fernandez winning the Rookie of the Year award. I have Max Scherzer and Clayton Kershaw winning the Cy Young award. I have Chris Davis and Paul Goldschmidt winning the Most Valuable Player award. As stated in a previous blog post, I plan on posting a recap of each winner, along with a look at how well I did with my predictions, in a blog entry after each award is officially announced. So be sure to check back for that . . . .
Each season there are usually several pitchers from each league that have incredible seasons, making it difficult to choose between them for who most deserves the Cy Young award. This year, however, it really wasn’t all that close. Bartolo Colon, Hisashi Iwakuma, Anibal Sanchez, Yu Darvish and Max Scherzer all had great years, but only one of them truly stood above the rest. Regardless, I’ll take the time to go over all of the top candidates anyway. Bartolo Colon had a great season, going 18-6 with a 2.65 ERA, however, he didn’t have nearly good enough of a year to win the Cy Young. His opponent batting average was .264 — fairly bad — and that, combined with a few other stats that just weren’t the best, leave him sh ort of the credentials needed to win. But having the year he had at the age of 40 is impressive in itself. Hasashi Iwakuma recorded a mere 14 wins throughout the season, but that’s not the only reason I didn’t pick him. Iwakuma’s 2.66 ERA and .220 batting average against was pretty good, but he didn’t do enough to come close to winning the award. If, however, he can pitch the same, or better, next season as he did this year, Iwakuma stands a chance of receiving the Cy Young down the road. Anibal Sanchez is one of two Tigers pitchers on my list, and had Verlander pitched throughout the season the way he’s been pitching in the postseason, there would probably be three. Regardless, Sanchez had a career-best season, where he went 14-8 with a 2.57 ERA. As with Iwakuma, a few more wins would’ve made the Cy Young race a bit more interesting. Yu Darvish was the second best American League pitcher this season, in my opinion. If he could’ve performed the entire season the way he began the year, he would’ve had a good shot at winning. By going 13-9 with a 2.83 ERA, MLB-leading 277 strikeout’s, and .194 opponent batting average, Darvish put together a very good season. But not quite good enough. 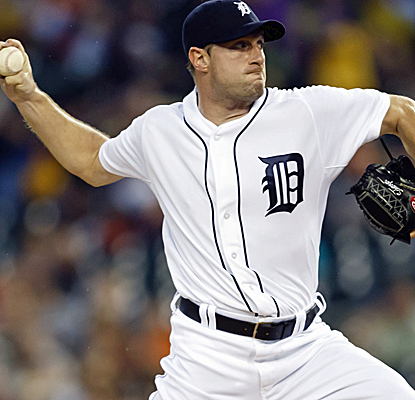 That just leaves Max Scherzer, who is the favorite to win the American League Cy Young award. Scherzer led all pitchers in wins this season with 21 — the only pitcher in baseball to record 20 or more wins — ,going 21-3 on the year. Posting an ERA of 2.90 and a mere .198 batting average against, Scherzer had a Cy Young worthy year. A year that helped lead his team to the postseason, and will likely lead him to his first career Cy Young award.